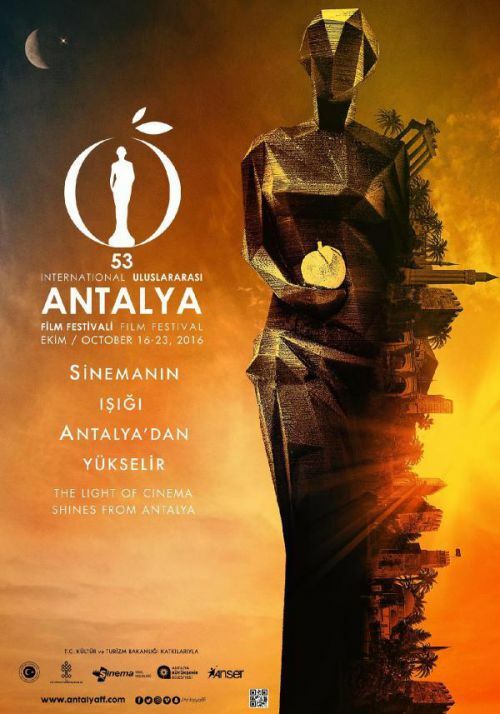 2016 sees the International Antalya Film Festival celebrating its 53rd edition; it continues to be the most important calendar fixture for Turkish cinema. Taking place in the ancient city of Antalya – renowned for its feasts, celebrations and festivals for over 2,500 years – the festival will once again host national and international cinema professionals and cinephiles between the 16th and 23rd of October. This year, the festival continues its mission to represent the best of Turkish and international cinema, bringing together directors, producers, industry professionals, celebrities, and names both new and legendary. This year’s festival motto is ‘The Light of Cinema Shines from Antalya’, reflecting Antalya’s mission to become one of the major capitals of world cinema. International Antalya Film Festival continues to support new film projects with Golden Orange statuette and cash prize, and promote Turkish Cinema with national competition and short film selection. One of the most important film festivals in Europe and Asia, International Antalya Film Festival will be the heart of Turkish and world cinema for the 53rd time in 16-23 October. Every year the festival presents the Festival Cortege, bringing together citizens of Antalya, and national and international stars. For the past two years, the cortege is termed the Social Responsibility & Awareness Cortege, and celebrities greet the public in order to bring attention to social issues of Turkey. This year, the traditional festival cortege will be held on 15th of October: a Saturday. One of the most important film festivals in Europe and Asia, International Antalya Film Festival this year received 353 film submissions for the competition. In addition, the festival’s highly-anticipated National Feature Film Competition received 60 applications in total, 6 of which were documentaries. 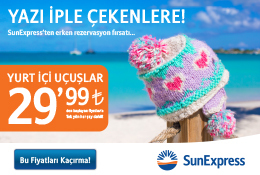 The competition will award a Golden Orange statuette and a 100.00 TL cash prize in total, 50.000 TL of which will be earmarked for distribution support. Since 2005, the festival also has an International Feature Film Competition, which awards a Golden Orange statuette as well as a 50.000 Euro cash prize. This year saw 202 submissions to the National Short Film Selection. To help these works reach a wider audience, examples of the Short Film Selection will be shown to audiences before screenings of each of the international competition films. Films from the National Short Film Selection are also eligible for the Audience Award, as decided by public voting. The 53rd International Antalya Film Festival is also turning the King's Road between the Glass Pyramid and the Antalya Culture Center into a ‘Festival Road’. The Glass Pyramid will become the main festival center, and a hub for industry professionals from this year onwards. The Festival Road will be open from 12 pm to midnight, and guests will have a chance to attend various activities including panels, autograph sessions with Turkish and foreign actors, concerts, workshops and exhibitions. There will be also lounges and stands dedicated to products and social-responsibility projects. This area will be a bustling meeting point for the festival apart from the movie theaters.